THE AWAKENING (2011) opens with a séance and we all know that’s a good thing. Shortly we’re on some 1920’s era, cross country train trip and it’s clear we’re being taken to one of my favorite places on Earth…uptight lady who may be bonkers in an ominous mansion with super creepy kids-land! (See THE INNOCENTS, THE OTHERS, THE ORPHANAGE, HOUSE OF VOICES, FRAGILE, et al.) Let me be upfront and say this type of movie gets a ton of leeway with me. I just want to spend as much time inside it as possible and I’m fully prepared to tolerate it going through whatever well-worn motions it needs to in order to do so. Maybe these digs are nothing new but what’s a subgenre for anyway, unless to sign a secret agreement to deliver essentially what you expect? Yes, there are few surprises (I may not have known exactly the precise inevitable twist but I sure knew the ballpark) yet honestly, if it went on forever I wouldn’t have minded much as it satisfyingly establishes a complete and believable arena for the supernatural to roam. Written by STEPHEN VOLK, the brains behind the legendary GHOSTWATCH, THE AWAKENING most fully earns it’s place at the ghost table by delivering some intriguingly robust characters in hard-nosed proto-Ghostbuster Florence Cathcart (REBECCA HALL) and her injured and enigmatic confidant/love interest Robert Malloy (DOMINIC WEST). If these two kooky kids had the mind to jump out of the movie and start an X-FILES type show, I would gladly pull up a chair each week. It’s certainly a shame that director NICK MURPHY didn’t better resist the urge to gild the lily with uninvited splashes of unnecessary CGI, but those few incidents weren’t so obtrusive as to tear the whole playhouse down. I’ll probably revisit and investigate this movie’s familiar yet absorbing halls more thoroughly in the future. For now, this is a great Netflix find for anyone who enjoys a more classic and refined approach to scares; it takes full advantage of its setting and what it lacks in innovation, it makes up for with the company you get to keep. I also just caught this, and I swear to Oprah, I thought to myself “I wonder if they’ve seen this over at kindertrauma”! And here you go with a review. I agree with so much you said about the movie. Excellent performances, particularly from Rebecca Hall, Dominic West, and Imelda Staunton; great scenery and some wonderful locales; good build-up and suspense, but I also knew that there would be somewhat of a “guess-able” twist (because I’ve seen so many of these types of movies). 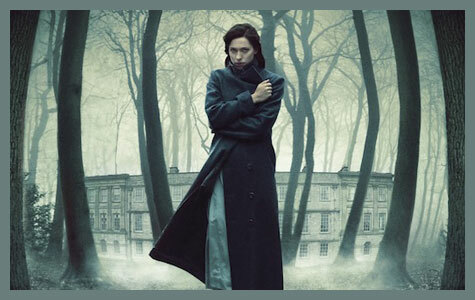 It reminded me so much of “The Others” as well (one of my very favorites). 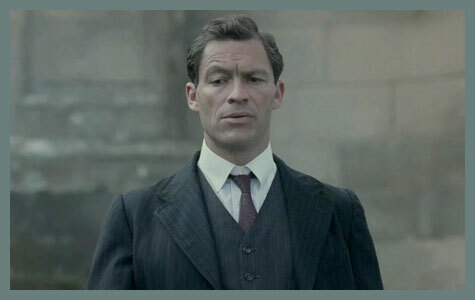 Am I alone in saying that Dominic West is extremely handsome and underrated, btw? But I digress. Great post as usual. I recommend checking out “The Frankenstein Theory” as well… It got savaged on IMDB, but I rather liked it for what it was. i just watched this a week or so ago too! i loved it! i was so glad they didn’t ruin it with excessive CGI – but i wan’t surprised at all that they used some – it seems like it’s almost impossible to get away from nowadays – esp with a ghost story. I really liked this one too. Something about it reminded me of Peter Straub’s Ghost Story,even though they weren’t much alike at all. With films like this one and Innkeepers,I’m glad to see more classical ghost stories being offered. As much as I’m a fan of blood and guts,it’s nice for some subtle terror now and again. So glad you recognized this as something we’d appreciate around here! I am on board with you on Dominic West 100%. I went out of my way to make sure there was an image of him in this post. He’s so good in this and I think he hit the perfect balance of being stoic and vulnerable at the same time. I love how he handled his character’s speech impediment too. I found myself routing for the two leads to connect which is something I rarely do. And thanks for the tip on Frankeinstein Theory! Yes! I loved the use of the dollhouse and dolls and I found it really creepy and cool when she discovered them posed in scenes from the movie. When I was little we used to visit a lake house and I was always fascinated that there was a replica version dollhouse of the lake house there. I got to go back to the place after 20 years this past summer and the dollhouse was still there! Wish I took pictures! I love me some blood and guts too! But you’re right, it’s always a pleasure to take this other route every once and a while! I really thing this movie deserves a closer examination here with plenty of images in the future. I loved the stuff with the paintings and the idea of Florence being broken hearted every time she proved a haunting false. Such great characters. It’s one of those movies that makes you feel like you just finished a good book when it’s done! And I love Straub’s Ghost Story! I read it for a second time this past winter! yes! i totally freaked when it was showing her looking in the dollhouse window as a doll in the dollhouse and then pulled back! and how the dollhouse kept moving around!!! soo creepy! Okay, I already have The Others and The Innocents on my “to watch” list from you… looks like time to add another! Scary dollhouses always make me think of Albee’s “Tiny Alice,” a play I read obsessively as a kid. Probably not healthy, but this is Kindertrauma after all! I also wanted to say a big THANK YOU in that I’ve been on a Kindertrauma watching binge: just finished (and loved) Pontypool, have been enjoying the heck out of Harper’s Island, can’t stop talking about The Hidden Face… and didn’t I read a recommendation of Hammer House of Horror on here too? I’ve been loving those as well. Man, was the US release for this film delayed. I first saw a trailer for it for well over a year before it was finally released. Unfortunately, during that time I built up a level of anticipation the film could not possibly live up to, and I found it ultimately disappointing. I’m sure, with subsequent viewings my opinion will soften a good bit – primarily because I am an absolute sucker for Edwardian horror. 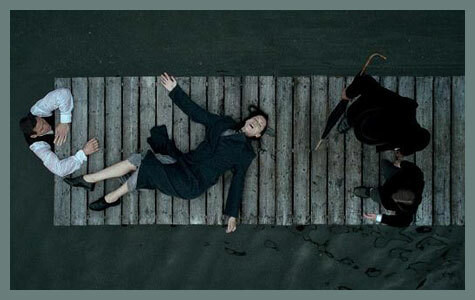 By contrast, I was ready for The Woman in Black to fall flat on its face, but it surprised me by being quite excellent.